Chelsea FC manager Jose Mourinho is desperate to sign few key players in the winter transfer window, including a central defender and a left back and he's identified Valencia's Jose Luis Gaya as the perfect reinforcement on that left defensive position. Another target of Jose Mourino is John Stones who he missed out on in the summer, but will double down in his pursuit in the winter and go after Jose Luis Gaya as well, which he sees as the perfect long term solution for that Chelsea FC left back position. In fact reports suggest that Chelsea FC are willing to bid up to 50 million euros for Jose Gays, who just recently signed a new and improved contract with Valencia CF that will keep him in the club up till 2020 and of course his release clause was significantly increased, thought to be somewhere in the region of 60 million euros. Chelsea FC are going to have significant competition though as Manchester City, Manchester United and Real Madrid are reported to all want to acquire Gaya's services and they are all willing to dish out huge sums to make it happen. 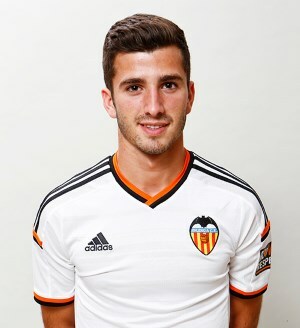 In fact Real Madrid have identified Jose Luis Gaya as the perfect long term replacement to Marcelo and since they didn't spend too much money in the summer, have acquired a big amount that they will use in order to lure Valencia CF into selling. Another interested club seems to be Bayern Munich, with Pep Guardiola being a personal huge fan of the talented Gaya, who he sees as an even bigger prospect than Juan Bernat who he purchased from Valencia CF for 10 million euros few years ago. Jose Luis Gaya was one of the best players last season for Valencia CF, creating numerous chances from that left flank, providing several assists and bombarding the opposition with accurate crosses and passes into their penalty field. So its no surprise that he's garnered the interest from all of the top clubs in the world and his price is sure to skyrocket as we approach the winter transfer market as teams try to acquire his services.